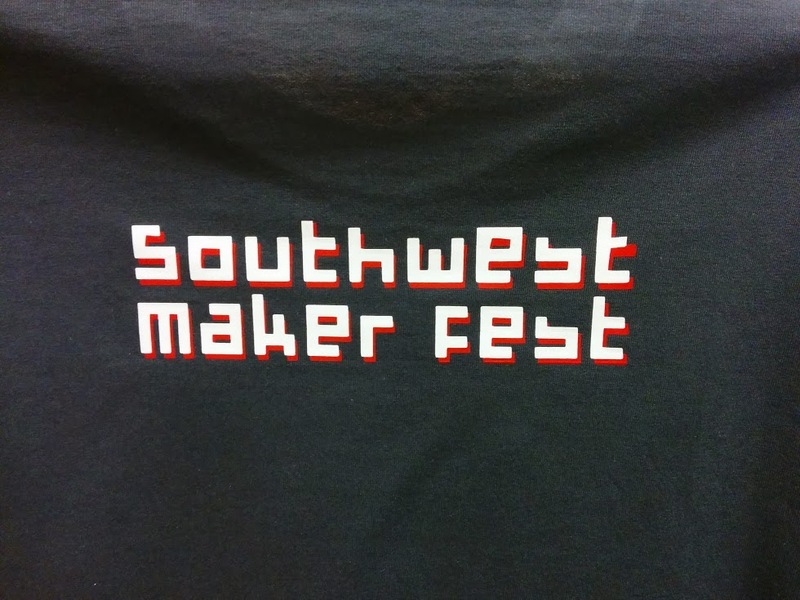 Make sure you can make it to the Southwest Maker Fest March 22nd from 10 am to 7 pm in downtown Mesa on Main and Center. A big thanks to TechShop for their support yesterday as myself and others on the Southwest Maker Fest planning committee made our own shirts. This dual color one turned out really well.